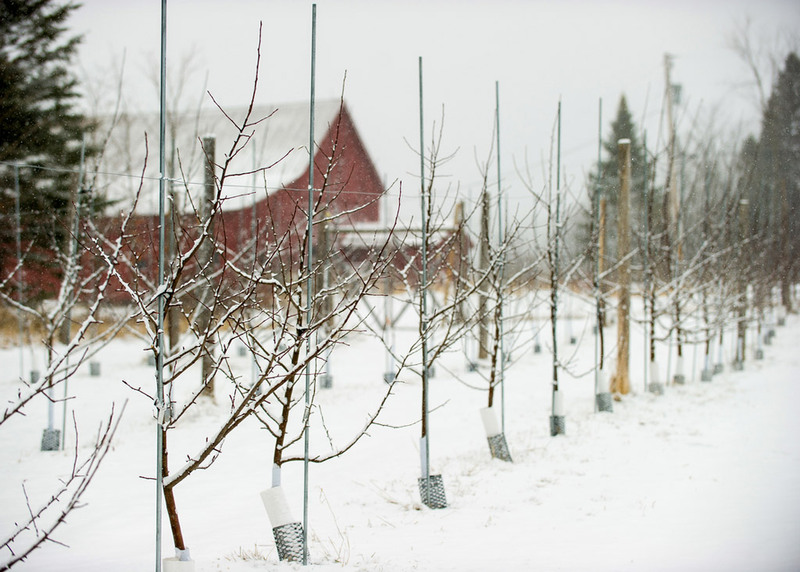 Ole Pome is made from apples grown at Mountain Valley Farm orchard in Waitsfield, Vermont, and apples collected from wild trees. The harvest was 2015. 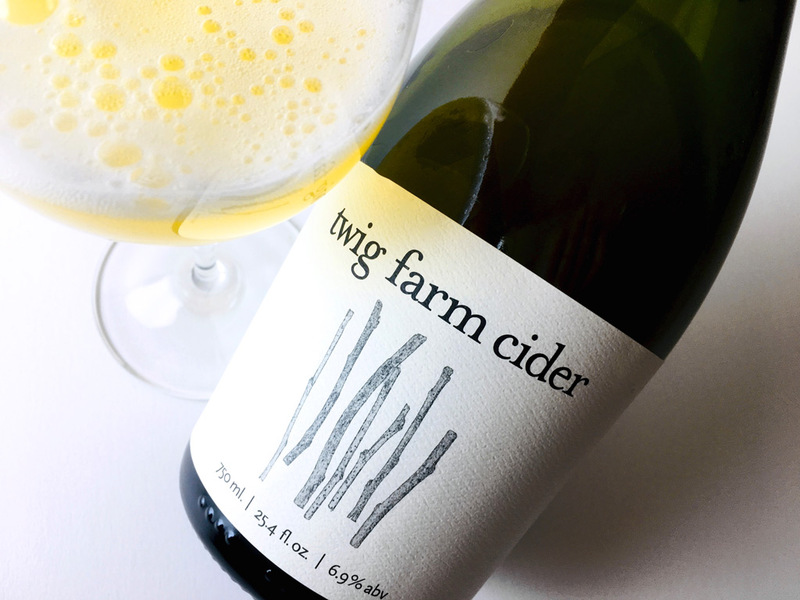 The fruit fermented with ambient cultures, and the cider aged in barrel prior to bottling, unfiltered. It throws a small amount of sediment, so should be stood up briefly before pouring; decant the dregs gently. 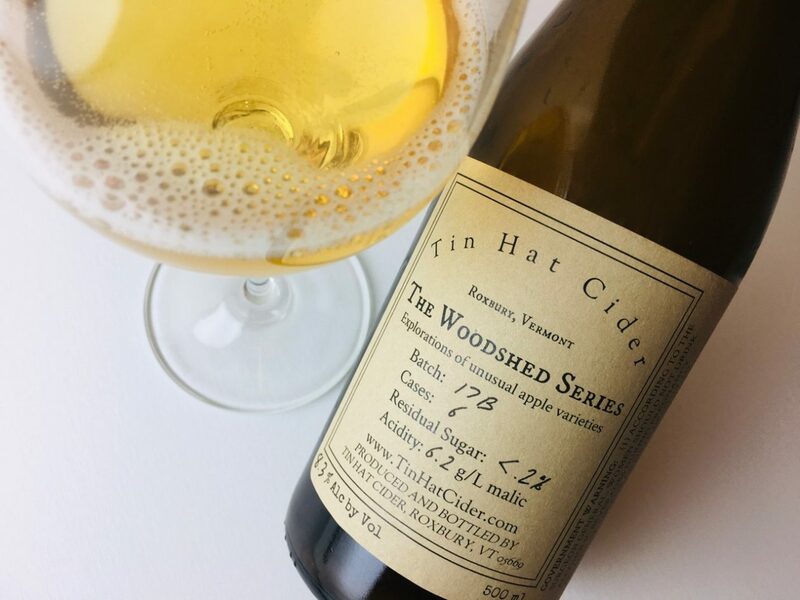 As with other Tin Hat ciders, Ole Pome’s aromas are keynoted by wild and garden flowers — apple blossom, roses, lilies — but its bass notes of dusty apple skin, autumn leaves, and straw ground it to earth. Silky-textured, the body has earned weight and savoriness from cask aging. 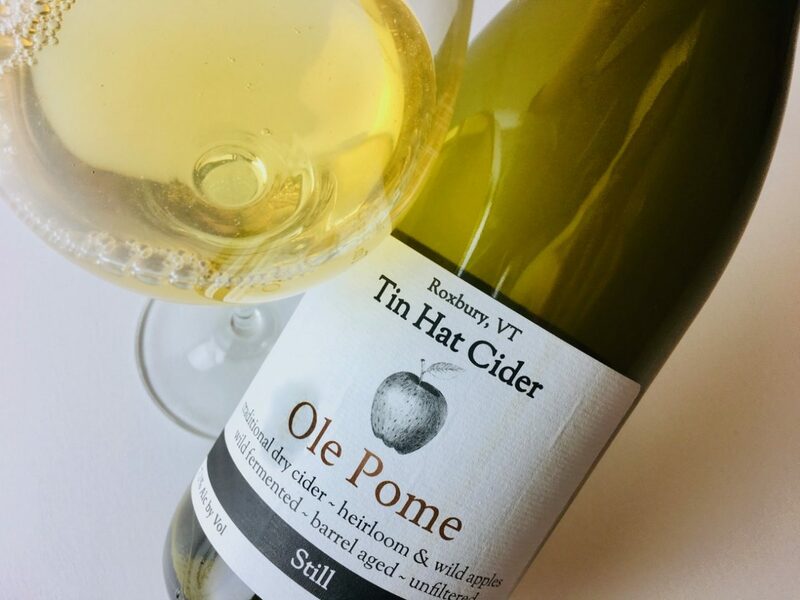 Lacking the adornment of fizz and the added filigree of a second fermentation, Ole Pome feels more linear than Farmhouse, more forthright but no less deep. Pair it with medium-aged cheeses, salumi, roasted squashes and root vegetables, spinach pie, bean burgers — I can’t imagine a better accompaniment for vegetarian fare.